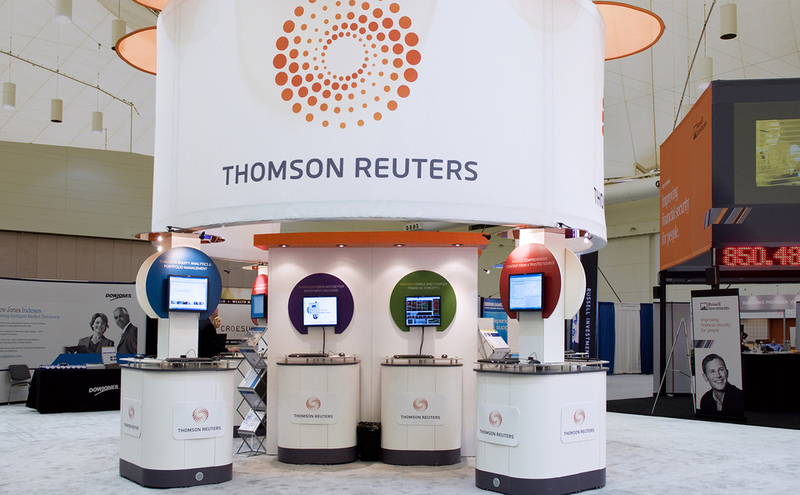 The mega-merger culminating in the April 2008 debut of Thomson Reuters, the leading source of intelligent information for businesses and professionals, created a flurry of exhibiting needs: a one-time island to dazzle Wall Street, 800 banner stands for company locations in 29 countries, rebranding of portable displays for regional shows, an eye-catching, versatile custom exhibit for national shows and asset management for the combined exhibit properties. 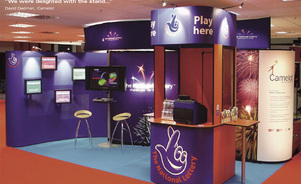 Nicholas de Janosi, head of Marketing Communications, Americas, accomplished it all through a single source – Skyline Exhibits. 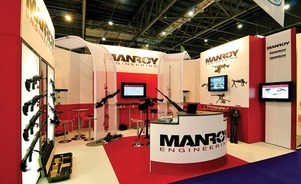 Portable Displays. 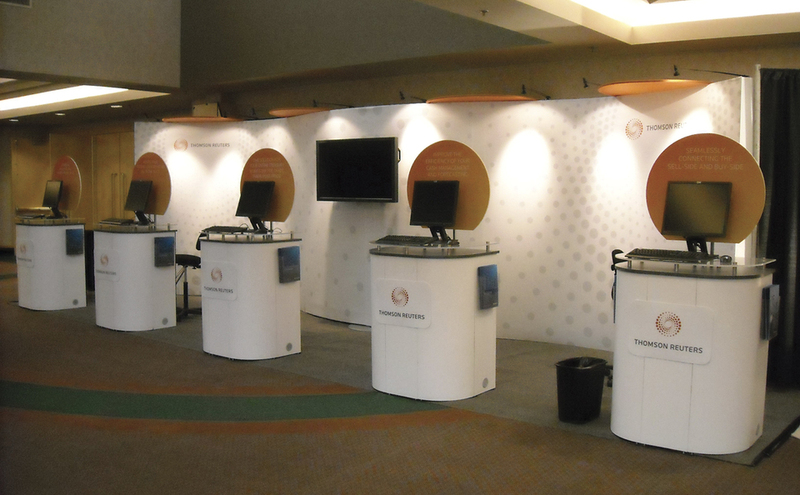 After having used Skyline portable displays for 20 years at the Reuters Group, de Janosi knew where to get new graphic skins for old tabletop and 10-foot displays and a fleet of displays with high-quality graphics to unveil the new company identity. Custom Rentals. For a single event targeting the financial technology community, Skyline created an original design: a 20’-by-40’ “greenhouse” to position Thomson Reuters as a company that helps cultivate business and grows new products and services by nurturing partnerships. 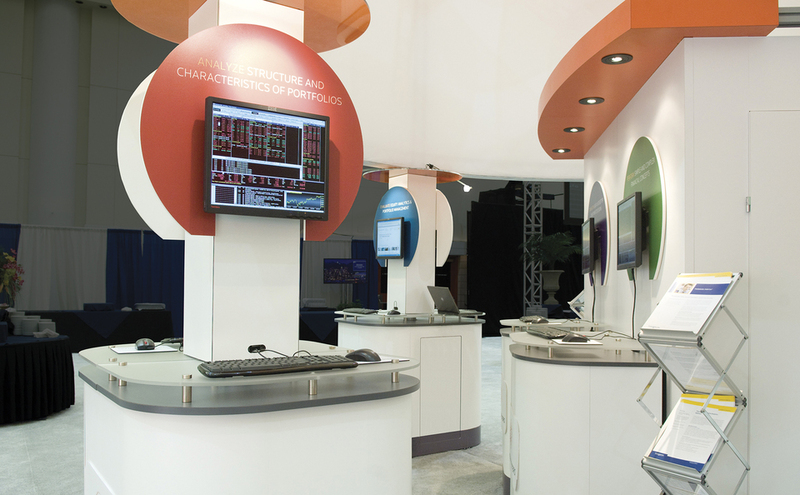 Thomson Reuters rented the structural components and purchased the fabric graphics to achieve distinctive impact on a modest budget – an option that traditional custom houses can’t match. 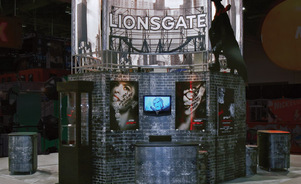 “A custom rental from Skyline was cost effective and allowed us to create more dramatic effects,” de Janosi says. 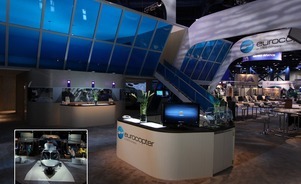 Custom Modular Exhibit. 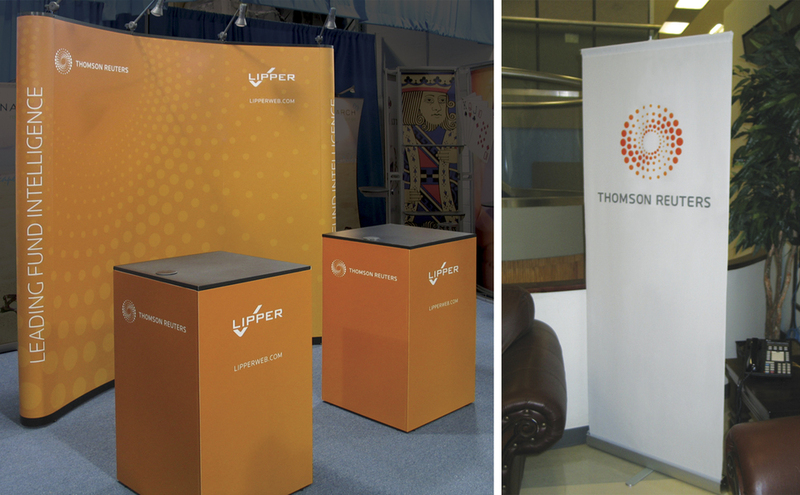 For its ongoing event schedule, Thomson Reuters purchased a 20’-by-20’ custom modular exhibit. 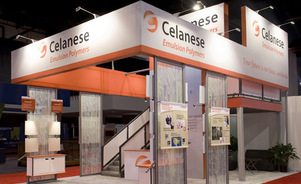 The lightweight modular design allows the company to reconfigure to fit a variety of spaces, achieve a new look with new graphics, and slash operating costs.